Advanced SystemCare Pro optimizes and improves the startup speed of your PC upto 200%. It cleans up useless files, registry keys and invalid shortcuts to make more space for computing operations resulting into a faster PC. Advanced SystemCare Pro is developed by IObit software company who are in the industry for 14 years. It is an excellent tool that prevents unwanted software to eat your system resources and make it slow and sluggish. This tool not just cleans your computer but also manages your hard disk and RAM by defragmenting them. If you want to purchase this product, then we have new coupons for you here. Advanced SystemCare Pro cleans & optimize your PC, boost the PC & Internet Speed, and also ensure PC security. Let’s take a look at all the features of this tool. Analyze windows registry and removes unwanted entries. Defrag the cluttered data on your hard drive. Prevent unauthorized access of PC with FaceID. Protects your privacy by eliminating the tracking data. Advanced SystemCare Pro 12 homepage has all the essential feature to scan the PC for junks. You can manually select or deselect a function that you want to perform and then press the Scan button. The options of Startup Optimization, Privacy Sweep, Junk File Clean, Shortcut Fix, Registry Clean, and Spyware Removal are selected by default. Other options such as Internet Boost, System Optimization, Registry Defrag, Security Reinforce, Vulnerability Fix, and Disk Optimization can be manually selected. All these options have their dedicated settings which you can access by hovering your mouse and then click on the Gear icon. 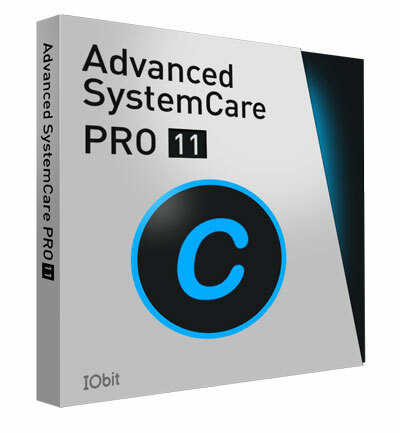 On the Speed Up tab, Advanced SystemCare Pro 12 offers various options to boost the speed of your computer. Turbo Boost- It stops unnecessary apps and services that is consuming the CPU and RAM of your computer. Hardware Accelerate- This option is to check the outdated drivers and then update them so that your PC performs well. Deep Optimization- It scans different settings in your computer that be tweaked to improve the overall performance. App/Toolbar Cleaner- You can clean different plugins/toolbars on your computer with the help of IObit Uninstaller. When you click on Protect tab, you will see options to secure your computer. Privacy Shield- It protects your private and sensitive data from the phishing and scam sites. Browser Anti-Tracking- This feature automatically removes your data from the browser so that other websites couldn’t track you. Real-Time Protector- It protects you from spyware on the real-time basis. FaceID- It clicks pictures of persons who try to access your computer without your permission. Also, it protects your computer from unauthorized access. Surfing Protection & Ads Removal- This option helps you to protect your computer from different kinds of malicious ads on the websites while you surf the internet. Homepage Advisor- This feature monitors the changes in your browser’s homepage or search engine and notifies you of browser hijackers. You can access a few other tools and utilities offered by IObit on the Toolbox tab. It has tools to optimize the system, Security & Repair, and System Clean utilities. It gives options to manage your startup, RAM, and hard disk. You can also schedule an auto shut-down event. There are options to clean your drive, shredded files, registry defragment, Scan empty folders. You can also use Undelete tool to recover your deleted files. It also gives you the option to protect the DNS. My browser was packed with lots of toolbars and PUPs. They redirect me to unknown pages when I try to do important work. Advanced SystemCare Pro deletes all those PUPs and recovered my browser. It also warns me of such program when they try to enter in my pc. It is an excellent program that cleans out the junk files and refreshes the PC. Not only this SystemCare Pro also protects from ransomware and spyware. So you don’t need to purchase two software plans. Plus this crazy discount makes it the most amazing deal.